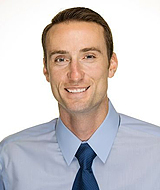 2015 Winner of the Patients Choice Award for San Diego Chiropractor and an active member of the California Chiropractic Association, Dr. Curda's practice takes a whole-body approach to healing rather than just on focusing on localized symptoms. Dr. Curda not only specializes in car accident injury care but he also brings extensive experience working with athletes for increased competitive performance and for rehabilitative purposes. Dr. Curda's thorough screening process is designed to both diagnose and develop a personalized treatment plan for each of his patients. He shares their goal of accomplishing a pain free life through both treatment and prevention. Whether you are seeking treatment for whiplash, auto accident injury, sports injury and conditioning, seeking relief from aches and pains, or simply want to improve your overall health, call Dr. Curda today to learn what treatment plans are best for you. Click to see testimonials from many of the satisfied patients he has treated. Turn right onto Soledad Mountain Rd. Turn left onto Beryl St. Merge onto Mission Bay Dr.